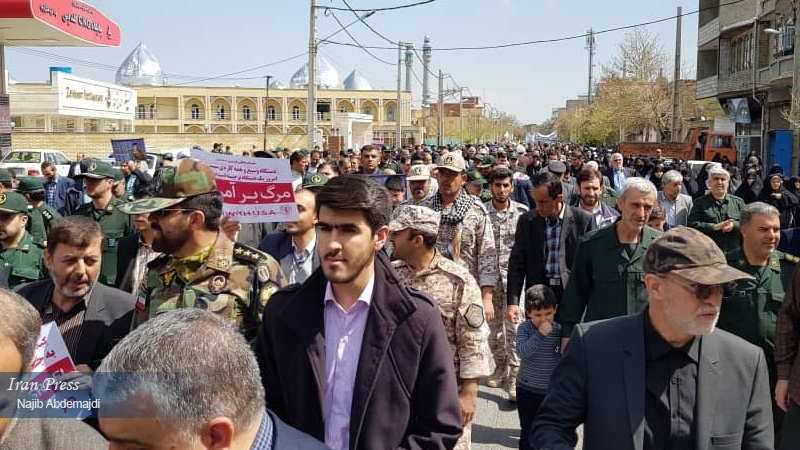 Urmia (IP) – People in Urmia, the largest city in West Azerbaijan Province in Northwestern Iran participated in a demonstration to Support Iranian Revolutionary Guard Corpse. 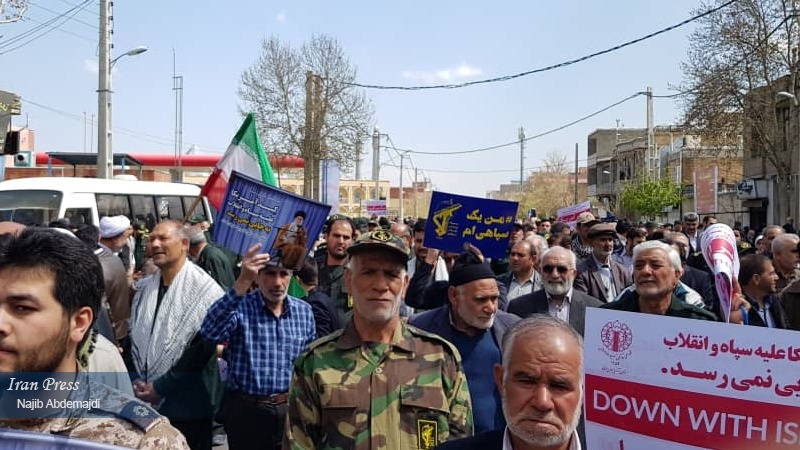 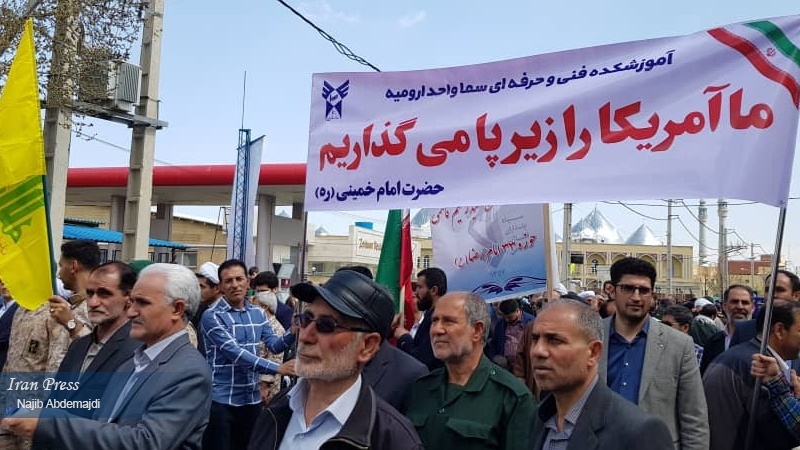 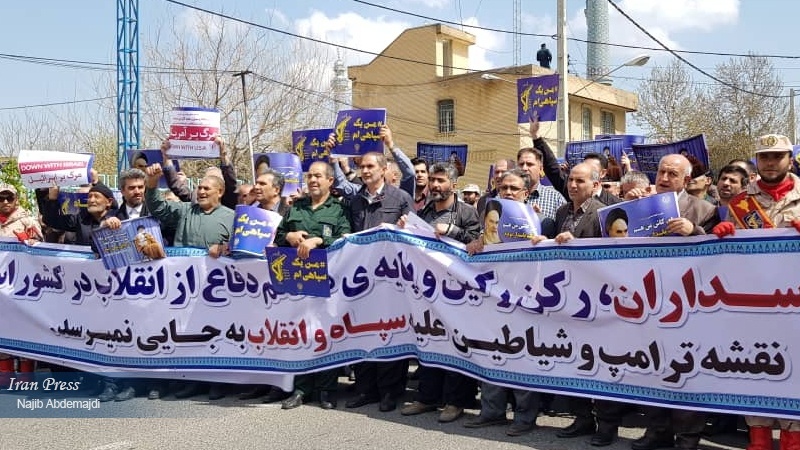 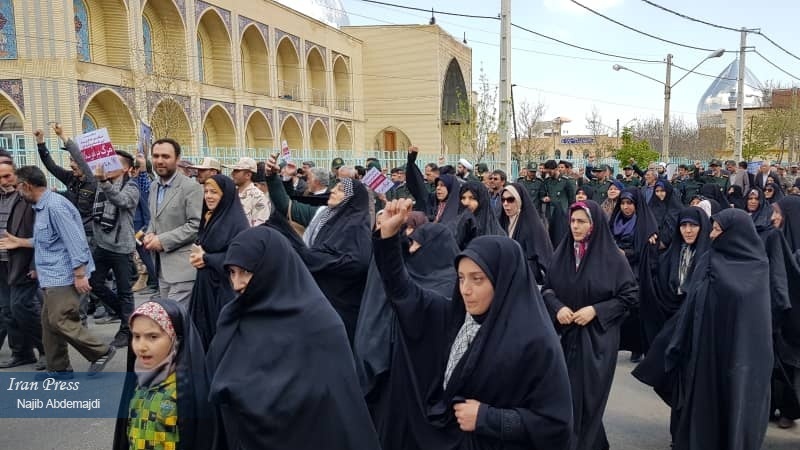 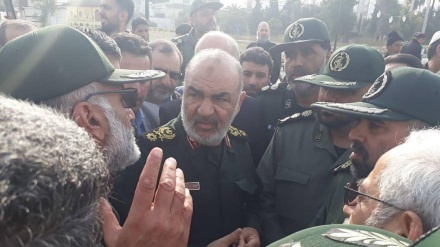 Iran Press/ Iran News: After US President's hostile move in designation IRGC as a 'Terrorist Organization', people in Urmia took part in a demonstration to support IRGC. 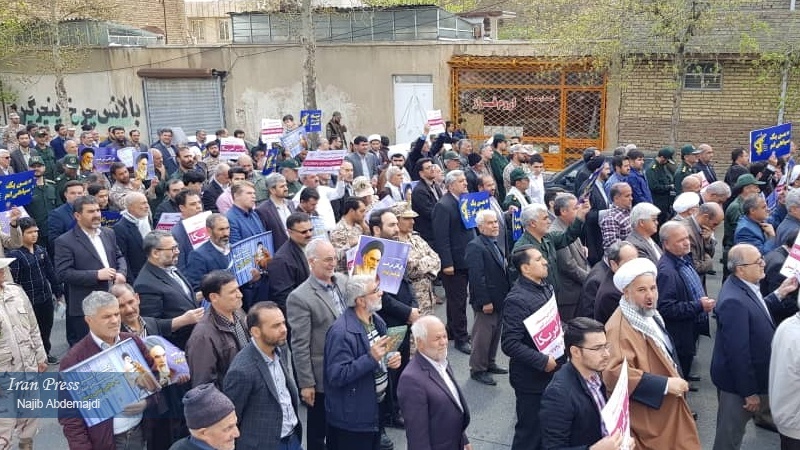 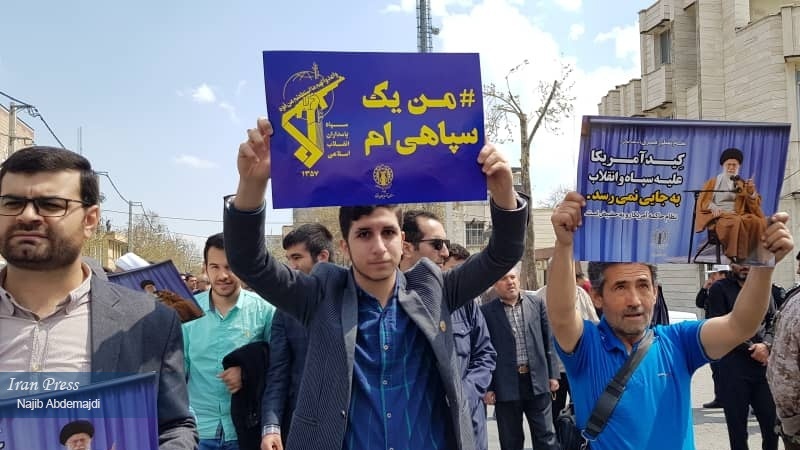 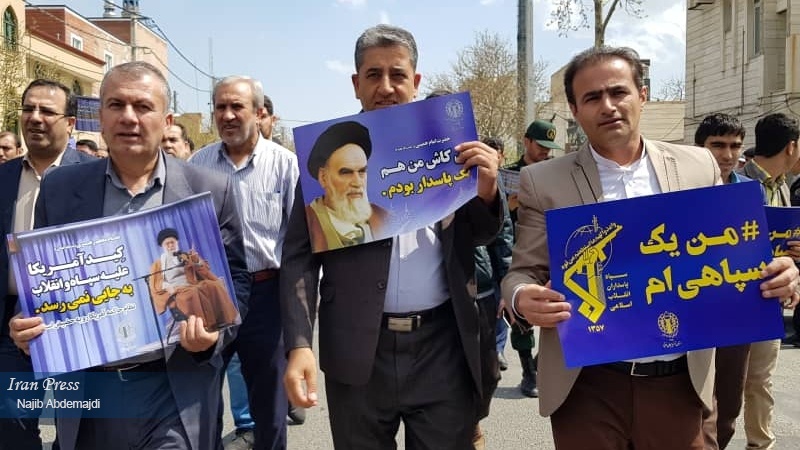 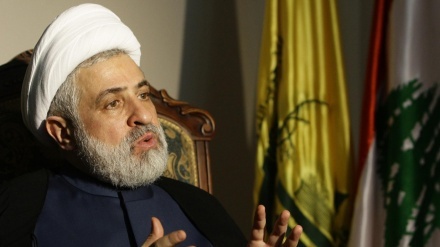 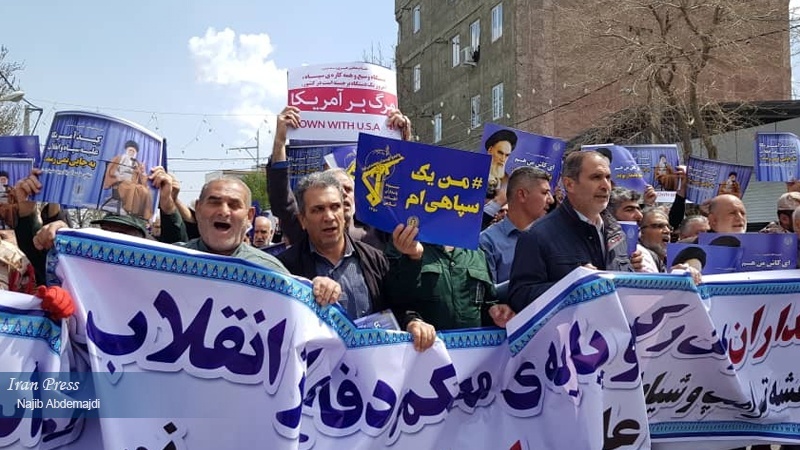 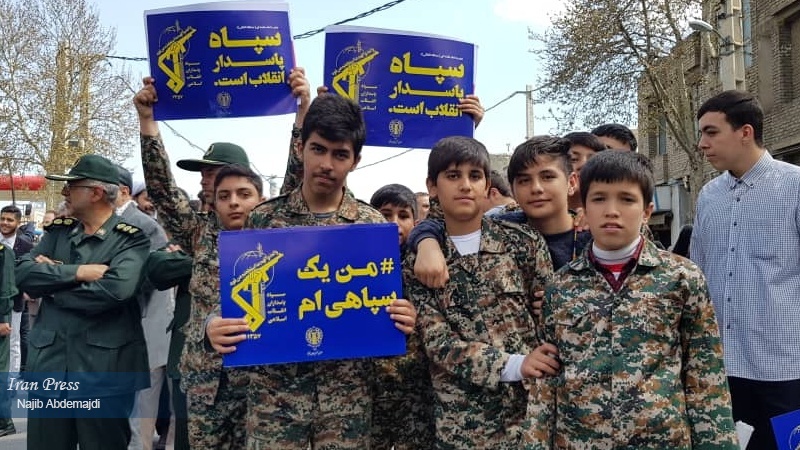 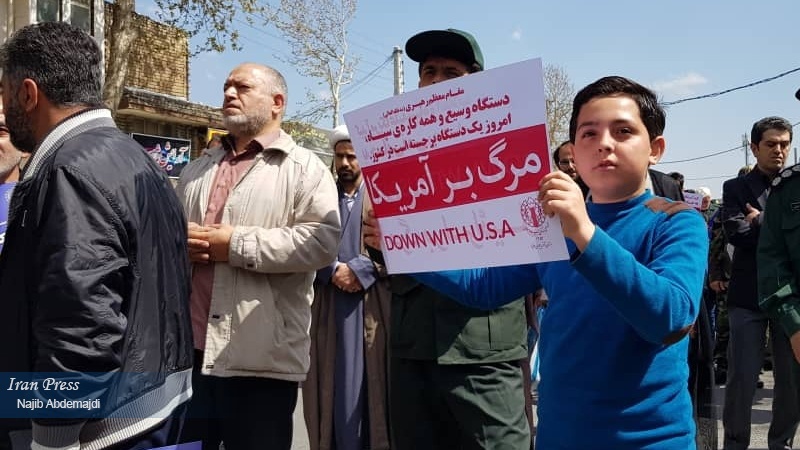 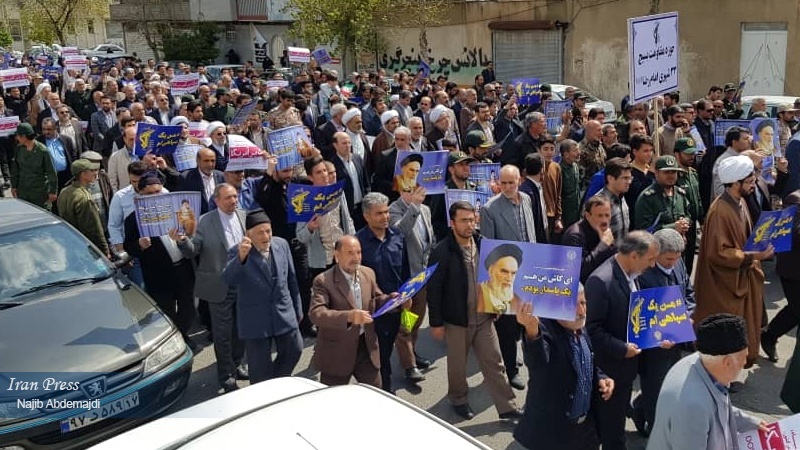 Nationwide demonstrations took place throughout the country after Friday Prayer on 12 April, in support of the Islamic Revolution Guard Corps and condemnation of the policies of the US President, Donald Trump. 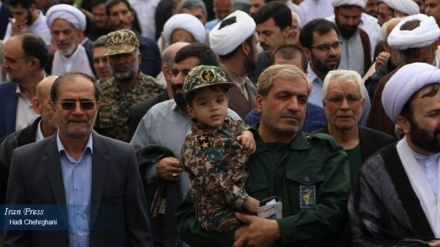 On April 8, Trump placed IRGC on terrorism blacklist which drew a fierce reaction from the global community.